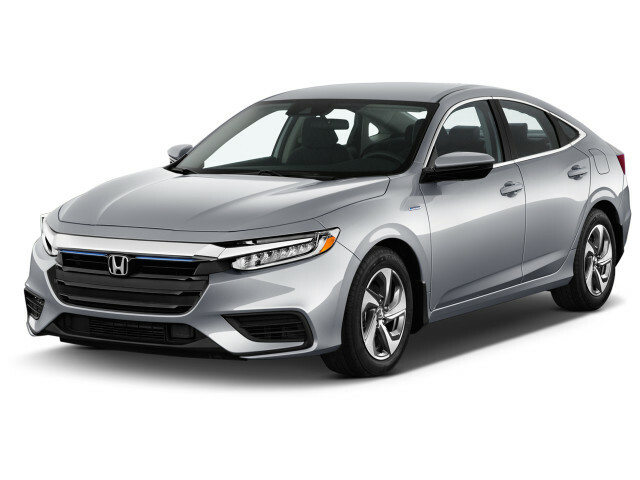 The Honda Insight, launched as a 2019 model, is the company's third try at finding a winning formula for a dedicated hybrid model to compete with the legendary Toyota Prius. The 2019 Insight returns a combined EPA fuel-efficiency rating of more than 50 mpg. 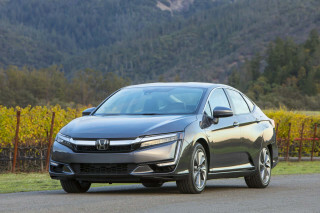 With the Insight, Honda now competes with the Prius, the Hyundai Ioniq hatchback, and perhaps the hybrid versions of mid-size sedans that include the Ford Fusion, Hyundai Sonata, Toyota Camry, and even the larger Accord Hybrid in the same showrooms. The latest version of the Insight is the first one built in the U.S., and its underpinnings are closely related to the Civic compact sedan whose Indiana assembly plant it shares. The Insight's shape is somewhat sleeker than the related Civic, though it shares its fastback proportions. It's less busy, too. The interior is stylish and conventional, unlike the Rocket Age vibe given off by the Prius. Under the hood, a 1.5-liter inline-4 engine tuned to run on the ultra-efficient Atkinson Cycle is paired with Honda's two-motor hybrid system, which replaces the transmission and powers the front wheels. It's the same setup used in the Honda Clarity Plug-In Hybrid, without that car's large plug-in battery pack. The hybrid system is also used in the Accord Hybrid, where it's attached to a more powerful 2.0-liter inline-4. Unlike its two mild-hybrid predecessors, in which the electric motor only assisted the gasoline engine, the Insight can run on electricity alone. And unlike two-motor systems from Toyota and Ford, the Insight runs at lower speeds with the engine acting as a generator to recharge the battery that powers a motor driving the wheels, though the engine can clutch in to power the car along with that motor when maximum power is needed or at highway speeds. The previous Honda Insight, a subcompact hybrid hatchback, was intended to be the company's competition to the larger Toyota Prius hybrid. It was sold in North America for five years, starting in 2010, but its sales never came close to those of the Prius—or to Honda's own hopes for the car. 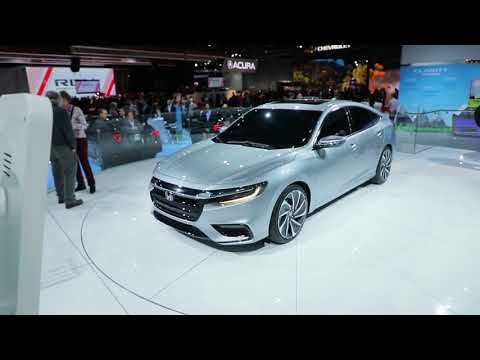 Its last model year was 2014, and the Insight went out of production in Japan shortly thereafter. Three trim levels were available: base, LX, and the more luxurious EX, the only model in which an optional navigation system and backup camera was offered. The base-level trim wasn't available the first year, and the car received mild updates to its styling, features, and efficiency for 2012. Otherwise, the Honda Insight changed little throughout its five-year model run. The Insight's shape was the same high-tailed hatchback as the Prius and also the Chevrolet Volt, all in service of minimal aerodynamic drag above 30 mph. Its two-level dashboard offered colorful graphics, and its handling and roadholding was generally considered better and more responsive than the numb and ponderous Prius. But the third-generation Prius that launched the same year was rated a mid-size car by interior volume, and provided some all-electric running on battery power at low speeds. The final iteration of Honda’s Integrated Motor Assist hybrid system sandwiched a 10-kw (13-hp) motor between a 98-hp, 1.3-liter 4-cylinder engine and a continuously variable transmission (CVT). As a mild hybrid, the Insight's electric motor couldn't move the car away from a stop under electric power or power the car alone for any appreciable distance. Instead, it added torque to supplement the gas engine output, restarted the engine after the car comes to a stop, and recharged the battery pack both under regenerative braking and using engine overrun. The price of a base-level Honda Insight stayed below $20,000 (including delivery). It retained the title of least expensive hybrid in the U.S. even after the 2012 launch of the subcompact Toyota Prius C. But its limited interior room, a mild-hybrid system that couldn't power the car on electricity alone, and competition with the excellent Honda Fit at a price $3,000 lower likely doomed it. The 2015 Honda Fit received a 36-mpg combined fuel-efficiency rating, bringing it close enough to the 2014 Insight's combined 42 mpg that few buyers could justify the pricier hybrid. Without a marked difference in fuel efficiency, the mild-hybrid Insight never lured large numbers of buyers into its lair. For those buyers determined to get a subcompact hybrid, the Toyota Prius C hit the magic 50-mpg mark and was priced within $500 of the Insight. Its full-depth load bay also makes it more practical than the Insight, which stored its battery under a much higher load floor. The first Honda Insight, a subcompact three-door hatchback with two seats, was sold from 2000 to 2006 and offered the best gas mileage of any car the EPA had rated at the time. Adjusted for modern-day test cycles, the old Insight got 48 mpg city, 58 highway with a 5-speed gearbox, or 45 and 49 mpg with the optional CVT. That Insight was both lightweight—using things like aluminum front brake disks—and very aerodynamic, with a drag coefficient of just 0.25, the lowest at the time except for the GM EV1 electric car. It used a 1.0-liter 3-cylinder engine producing 67 hp, with the earliest generation of Honda’s hybrid system, which used a 10-kw (13-hp) electric motor. Despite its fuel efficiency, the tiny Insight proved too small for most markets. Honda sold just 17,000 of the cars globally over seven model years. Five stars. Excellent value. Fully equipped. Excellent safety equipment. Ripped off from the beginning! Customer service?? They do NOT care about their clients!!! Lemon? ?